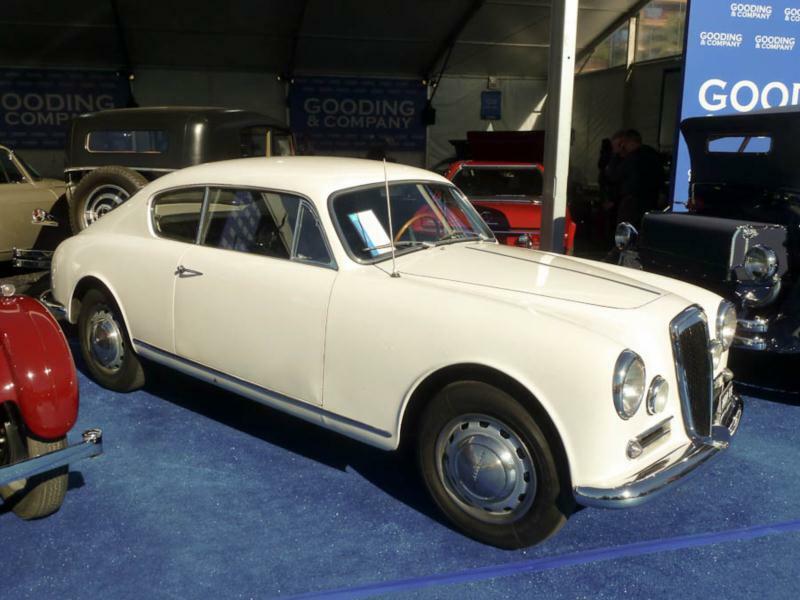 Today, Lancia is best known for its sports and racing cars, but the Italian company also produced some of the first European sports sedans, including the Aurelia of the 1950s. Most Lancia Aurelias were delivered as four-door sedans, but a two-door “GT” coupe and a two-door convertible were also offered. 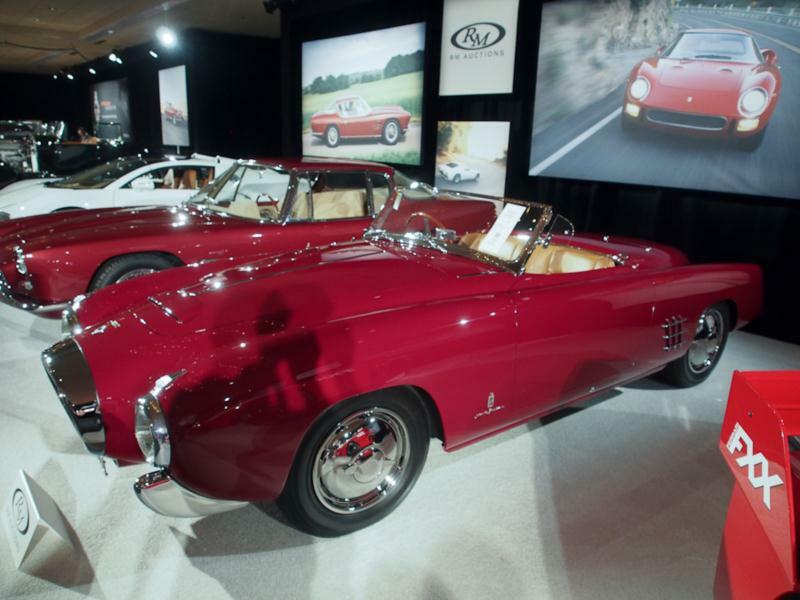 The latter two sportier versions are more highly prized by collectors today. In all its forms, the Aurelia had a unique design. The front suspension used a sliding block, while the rear was independent with coil springs and semi-trailing arms. Four-wheel drum brakes are used to stop the car, and all Lancia Aurelias were delivered with a column-shifted four-speed manual transmission. Like more than a few Lancias, the Aurelia was a technical pioneer, and holds the distinction of being the first production car to use a V-6 engine. The Aurelia was first released in 1950 as a four-door sedan using a 1754 cc V-6 engine rated at 56 hp. Internally, that car was known as a B10, but it has come to be known as a first series Aurelia. The first series continued into 1951 with the addition of a two-door coupe and an engine increase to 1991 cc and 65 hp. Total production in the first series over two years was about 1,300 cars. Top speed for the 1950 sedan was 84 mph, but this rose to 90 mph in 1951. The second series came in 1952, tweaking the 1991 cc engine to 75 and then 80 hp in the normal line and 90 hp in a special Weber-carbureted sedan. That model was capable of a 100 mph top speed, while the basic Aurelia could make 94 mph. About 4,700 second series Aurelias were built. 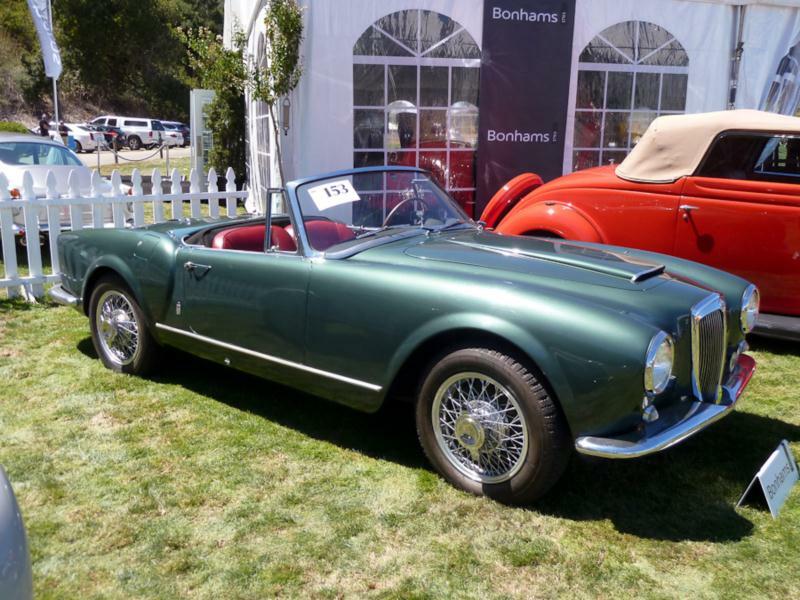 The third series Aurelia was unveiled for 1953, with another engine upgrade and an all-new roadster body style. This series uses a 2266 cc V-6 engine at 87 hp, while the Aurelia GT 2500 joined the line and featured a 2451 cc engine that delivered 110 hp. The entire Aurelia line changed from independent rear to a DeDion rear suspension design in the third series. About 2,400 Aurelias were made in 1953. Changes to the Aurelia line slowed for 1954 through the end of the model in the sixth series in 1958. Production in 1954 and 1955 was about 2,000 cars per year, but for the final years of production that dropped to about 500 cars per year. Sedan production always outpaced coupes and open cars, until the end of the Sedan line in 1956. With sedan production idled, coupe and convertible production stayed about the same, yielding the large reduction in total production. 1954 saw the first factory left-hand-drive Aurelias made, and the original “spider” roadster was joined by a proper convertible with roll-up windows in 1956. The 2451 cc engine was rated at 112 hp for 1957, and this was the only engine offered in the final years of production. Later series sedans and roadsters retailed for about $5,500, while the coupes were higher at $5,800 by the middle of production. By the final year, coupes were up to $6,195 while roadsters had dropped to $5,195. Collectors seeking Aurelias are advised to carefully consider condition, as these were among the early unibody cars, and metal fatigue has taken its toll in many examples. 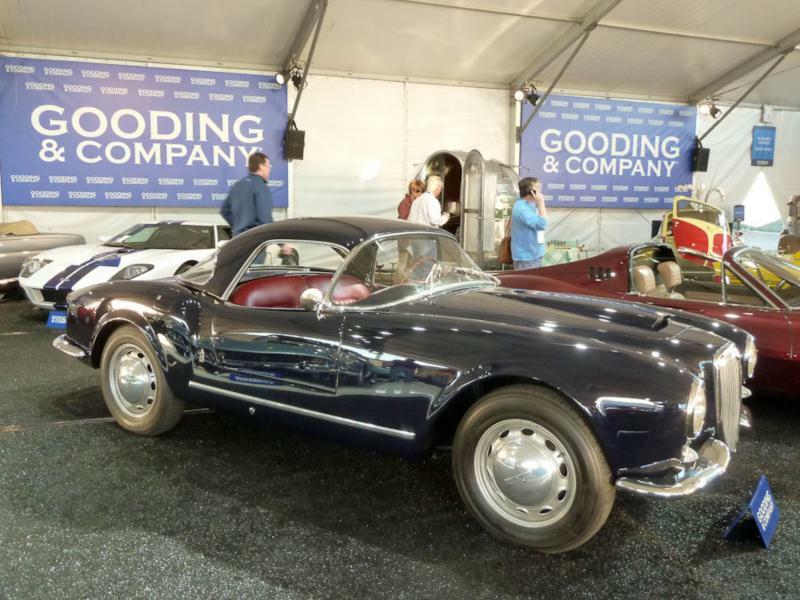 Prices have remained high for good examples, and a quality Aurelia – especially the sleek coupes – is a well-respected car at any concours.